The folks behind How It Should Have Ended are back and have taken on Star Wars: The Last Jedi, reimagining the arguably most divisive entry in the Star Wars franchise in a way that the film's haters are sure to approve of -- while making everyone laugh at the same time. 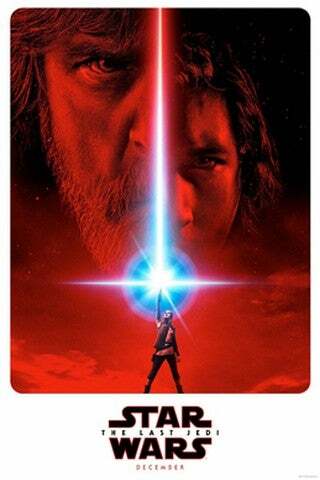 Straight out of the gate, the How It Should Have Ended version makes it clear that its take is going to be very different from the real film, even poking fun at The Last Jedi's length by "fast forwarding" through large chunks of the plot, hitting the high notes and making some pretty funny jokes, usually at Kylo Ren's (Adam Driver) expense. You can check out the roughly seven-minute video above. This version of The Last Jedi tends to cater towards those viewers who complained that the film wasn't Star Wars enough. Rey (Daisy Ridley) gets a different heritage, Snoke's identity ends up being something significant (Darth Plageuis, y'all!) and Luke Skywalker (Mark Hamill) has a vastly different role. But even for the dramatic changes to the film's plot, there are some genuinely hilarious moments. Admiral Ackbar gets a redemption and the parody video even takes a few jabs at the movie's detractors, specifically those with complaints about Luke's "new" Force abilities by having a First Order officer sharply point out to Kylo that those Force abilities aren't exactly new. But seriously. Admiral Ackbar steals the show, no small feat considering that the parody also includes the Force ghost of Obi Wan Kenobi. While this parody pretty much gives presents a version of the movie that might have led to a lot more harmony among fans, it also subtly points out that without some of the more polarizing elements of the real The Last Jedi there wouldn't have been much of a movie at all. That the How It Should Have Ended parody runs just seven minutes might be a product of the nature of the video, but it also is more than enough time to tell the entire story -- including battles. It also ends without really a direction to go after. While many complained that Luke's death at the end of The Last Jedi as well as Rey's lack of heritage take the franchise in a new, unwelcome direction, it's pretty clear that a "more Star Wars" The Last Jedi would have left the franchise adrift and even an abandoned base on Crait couldn't have saved it. After all, it's kind of hard to go forward when Admiral Ackbar is spoiling the plot and Yoda is just zapping everything with lightning. The Last Jedi is in theaters now and is expected to hit Blu-ray and DVD in March.